Gold plate on pewter, and set with cubic zirconia (the finest diamond simulant). Late sixteenth century. 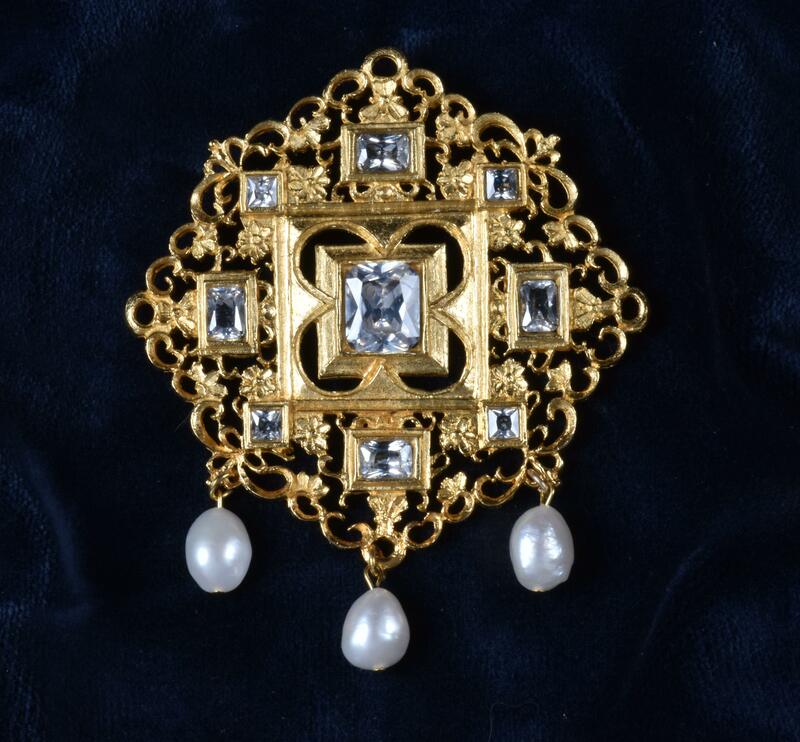 The original jewel was set with table cut diamonds and belonged to the Duke of Lorraine, though he gave it to the Duchess of Elbeuf to help pay her husbands ransom. Diameter 8cm. With three large pendant freshwater pearls.